Welcome to my leg of the My Writing Process Tour. Many thanks to the fabulous Ellie Ashe for inviting me. We are all asked to answer the same set of four questions. It’s been eye opening for me to see how the other authors’ minds work. There’ve been some great similarities, but I’ve also learned so much from those who’ve blogged before me. I have two things in the works right now. I am collaborating with the fabulous Gemma Halliday on the second Tahoe Tessie novel, Hey Big Spender. 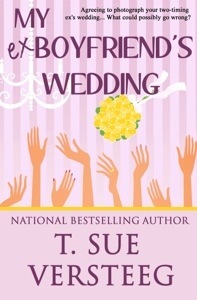 That’s right, there will be more antics and mayhem from Tessie, Tate, Brittan, Ryder and Rafe. Words can’t express how much fun they are to write and how completely awesome Gemma is. For real. Seriously, I’m doing the happy dance while typing. I’m also working out the kinks on a romantic comedy/suspense titled Sweet Nothings. 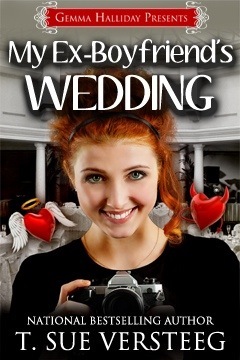 This story follows Tana Jensen and her BFF Erika as they try to track down Tana’s boyfriend, Xander. Or ex-boyfriend. It all depends on whether or not he’s been faithful. He said he was away on police business, but pictures have surfaced that would say otherwise. 2) How does my work differ from others in the genre? My books are written in many genres to keeps my readers guessing. Okay, so it’s probably more of the fact that I love to read so many different types of romance. I’m definitely a sucker for ‘happily ever after’, so my books all have that in common, or they will, in the case of my series lines. The common thread is humor, though. I have a hard time writing completely serious manuscripts. It might have a smidge to do with… well, me. You see, I also have a hard time being completely serious, so there’s that. Write what you know! I honestly don’t think I’m capable of anything else. I come from a long line of snark. I hear there’s a twelve step program, but I can quit any time I want. Yeah, I can. I used to be what’s referred to in the writing community as a ‘pantser’. It’s where a writer basically flies by the seat of his or her pants while writing. No outline, no net, just writing what’s floating around in the imagination. Gemma is desperately trying to cure me of this affliction. Now, I take the rough idea for a book and start with a basic outline. Nothing grand at first, but I expand on it as the story unfolds in my mind. This helps tremendously to eliminate the sagging middle (where the story sort of hits a roadblock and stalls). I’m starting to think plotters might actually be on to something here. So, I guess I’d be considered a pantsing plotter at this point. Did I just make up a new term? Nope, Google says otherwise. Thank you so much for visiting. I was supposed to invite three awesome authors to carry on the torch. I dropped the ball. Be sure to visit Ellie and follow backward for some great info. 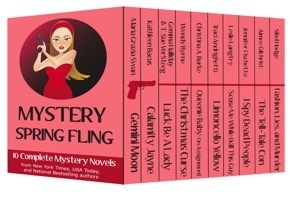 $0.99 Cozy Mystery Book Bundle! and we’re donating ALL the proceeds to one local library! Purchase your copy today, and visit Gemma Halliday’s site for details on how to nominate your local library to receive 100% of the proceeds! Info to nominate YOUR library is HERE! Thank you for supporting such a fantastic cause. Read on! Pssst… It’s me, Lisa Medley! I need to be quick before Sue realizes what happened! Erm, nothing. Same old story. Same old (okay, old but HOT vampires). I needed something different. Something that might stand out in a crowded field of paranormal monsters in love. I chose reapers. And then I set out to make them better. Still human-looking but human DELUXE! Lots of dark potential there. I sat down and got to work making a world for them to live in, threw in some demons, an evil fallen angel and the Reaper Series was born. Reap & Repent is Deacon and Ruth’s story. Once I started writing, it didn’t take long for Deacon and Ruth to take over. I wasn’t telling their story. They were telling their story. About halfway through, I realized we all three needed a plan and finally sat down and organized all of the sticky notes, which had previously been decorating my car dashboard, writing cave desk and notebooks. I typed them up and printed them out. HOLY COW, I had a plot! So THAT’s how that happens. From that point on, I put Deacon and Ruth in peril, threw roadblocks in their way, and let their love grow until I reached the end, some eighty thousand words later. And THE END ends with one of my favorite things. If you’d like to see how it all plays out, here’s your chance. Book one of the reaper series, Reap & Repent, is available now. Here’s a taste. 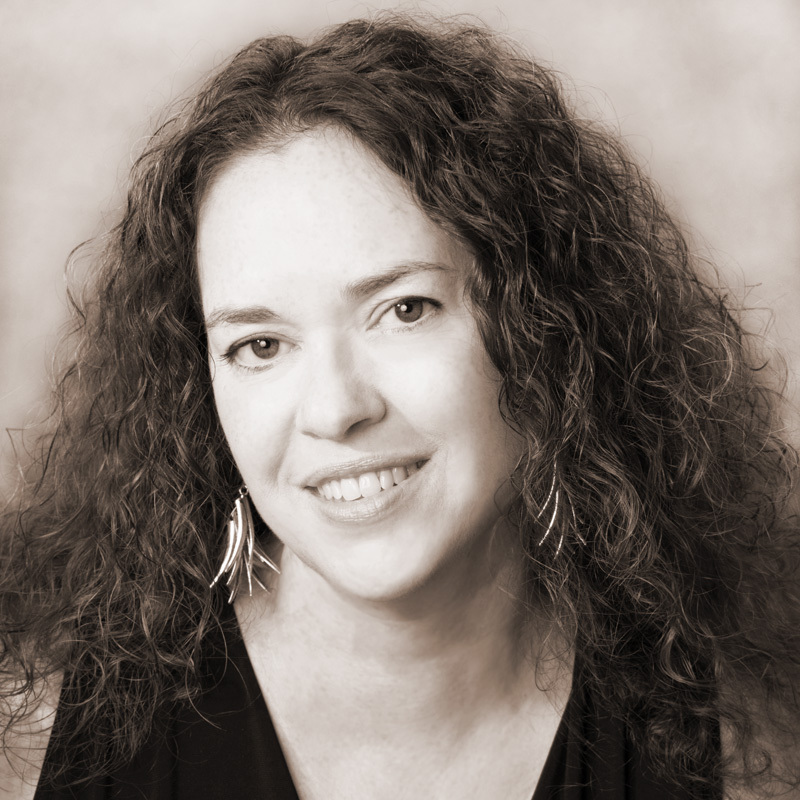 Lisa Medley writes reapers. The grim kind. Her urban fantasy romance, Reap & Repent is available now in a Harlequin E Box Set with three other Harlequin debut authors. A lover of beasties of all sorts, she has a farm full of them in her SW MO home including: one child, one husband, two dogs, two cats, a dozen hens, thousands of Italian bees and a guinea pig. Not so in love with the guinea pig. She can do ten pushups IN A ROW and may or may not have a complete zombie apocalypse bug-out bag in her trunk at all times. Just. In. Case. Deacon Walker is a burned out loner, whose two hundred years as a reaper have left him empty inside. But when he meets Ruth Scott, a gorgeous shut-in with unusual gifts, he’s forced to set his career complacency aside to train her for a destiny she never knew existed. Soon the two will face the ultimate test: a battle against demons determined to destroy humanity, one soul at a time. He was worn thin. Over the past few weeks, three demon soul poachers had popped up in his fair city of Meridian like poisonous mushrooms after a hard rain. While it wasn’t unheard of for one to slip out from Hell every now and then, three was a nightmare. Deacon refused to lose any souls from his territory. At all. So far the score was Deacon, 3. Demons, 0. As a reaper, carrying souls to Purgatory for judgment was his job and he wasn’t about to cede his territory to poachers who used up their hosts like they were disposable Tupperware. So now, in addition to his normal day job, he also had to keep an eye out for more demon invaders. While demons burned through most human hosts in a matter of days, some in a matter of hours, they had discovered long ago that under the right circumstances they could ride a reaper. Of course, they couldn’t just worm their way in like they did with humans—they had to be invited. But once a deal was struck? They were in. And reapers? Yeah, they could hang on for decades inside a reaper. Deacon knew that fact firsthand. His stomach twisted at the thought, but he shook it off, looking ahead with a heavy sigh. Seriously, this line? Still. Not. Moving? God, he needed a freakin’ vacation. Extended. He dragged a hand through his hair in frustration as his mind flipped through postcard-esque locations of reapings past. He snarled at the thought of New Orleans in summer. He would definitely want to go someplace cool—cool as in frigid, not hip. He was sick of the heat, and it was only the beginning of summer in the semitropical Midwest. Come to think of it, he was sick of a lot of things. This place was high on the list. It was as hot as…well, Hell actually. Or at least what he imagined Hell to be, although he’d never actually been there. Thank God. Steam rose from random cracks in the stone floor of the underground station, veiling the place in a humid sulfur stench. He pushed forward, finally making his way to the front to deposit his cargo of souls. He didn’t bother chatting. In. Out. Move on. It was a motto that served him well. Mission completed, he hustled through the crowd, forgoing the bar-side frivolity of some of the more socially inclined reapers and their small talk about their glory days in the field or—even better—the missteps of the newest reapers. Newbies often tested their limits to humorous if not disastrous effect at least once in their early careers. That was exactly why new reapers had mentors or at least worked in teams. From all the laughter, he could tell that the stories were good ones. It didn’t tempt him. He slapped his palm against the black granite monolith and flashed out of Purgatory to what he prayed was his last stop of the day. 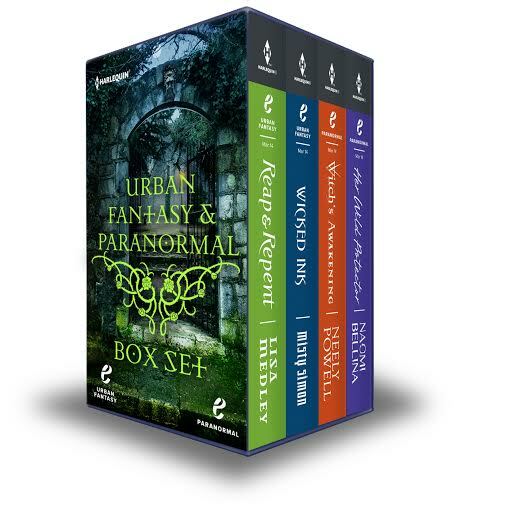 BUY LINKS: Reap & Repent is available March 3, 2014 in a Harlequin E Urban Fantasy/Paranormal Romance Box Set with the works of three other amazing new Harlequin authors! Reap & Repent will be available for single-title release June 2, 2014. Allison and I met at a local Ozarks Romance Authors meeting several years ago. With us both being painfully introverted and fluent in sarcasm, we immediately became online friends. That’s what introverts do. This is the equivalent of extroverts meeting for drinks and chatting. It works! 🙂 Her latest release, Convict and the Cattleman (as well as all of her books) is fabulous! Here are the details. Links are at the bottom of the post. Sentenced to seven years of servitude in the penal colony of New South Wales, Bridgit Madden is thrust into a world unlike anything she’s known, dangers she never imagined and enemies with their own interests at heart. Certain that the conviction has ruined her chances of ever having a real family, she is fearful of her future. Upon her first meeting with Jonah’s niece, Bridgit immediately falls in love with the girl and becomes entwined the mystery surrounding her birth. 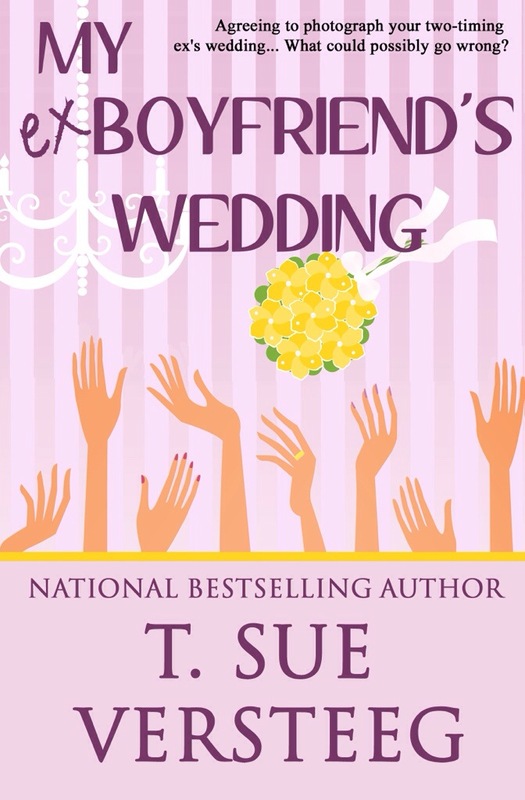 As she gets to know her employer better, Bridgit makes it her mission to remind him that family is priceless. When it seems as though she might have found the place she truly belongs, their love is threatened by lies and deceit, and both of them might lose everything they hold dear for a second time. 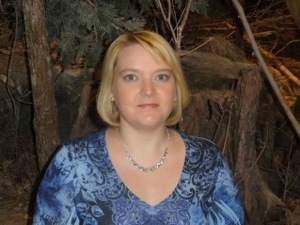 A love of reading turned Allison Merritt into an author who writes historical, paranormal and fantasy romances, often combining the sub-genres. She graduated college with a B.A. in mass communications that’s gathering dust after it was determined that she’s better at writing fluff than hard news. She lives in a small town in the Ozark Mountains with her husband and dogs. When she’s not writing or reading, she hikes in national parks and conservation areas.